HOPES has begun a new campaign to create HOPE Springs, a tiny home community comprised of thirty individual shelters for the homeless. Money raised at the April 30th event at the theater we share with the Good Luck Macbeth theater company is dedicated to that campaign. Tatro shared that HOPE Springs will be a bridge to secure permanent housing and employment to those in need. In addition to housing, clients will access all the HOPES services in their main building with the help of a case manager available seven days a week. Currently HOPES finds housing where ever it may be available, some of which may not be desirable, and their case managers must travel all over the county to meet with clients. HOPE Springs will be an intentional community working toward a similar goal, giving their clients pride in what they are achieving. The event will feature the RJO’s full seventeen-piece orchestra performing classic big band jazz in the intimate 100 seat theater. All seats are great, but if you want to get up close and personal sit in the front row, five feet away from the band! There is a reception at 6:00 PM with light hors d’oeuvre with the music starting at 7:00. May 2nd at the Chateau in Incline Village will be transformed into the Crystal Cabaret for a night of “Music of the Stars” benefitting Tahoe Family Solutions Camp Explore program. I spoke with Amy Guinan, Tahoe Family Solutions (TFS) Development Director to learn more about what they do. For almost twenty-five years TFS has been a family resource center for Incline Village. Under that umbrella they provide a variety of services to the community serving over 3,000 residents in 2017. Counseling and psychiatry services focuses on child, adolescent and family counseling that includes conflict resolution and play therapy. TFS contracts with a marriage and family therapist and psychiatrist to provide these services on a sliding fee scale. Referrals come from schools, hospitals, and word of mouth and there is no wait list to use these services. The Homework Help Club engages elementary students as early as the first grade. 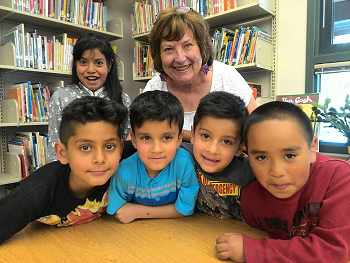 Guinan noted that a second-grade student was not reading at a Kindergarten level when entering the program, but with the help of a dedicated volunteer working four days a week, the student is now up to grade level and excelling in school. This is just one success story for a program that has the capacity to serve forty students. Their English as a Second Language (ESL) program is a place for adults to improve their English language skills in a casual setting. Each session a topic is chosen, such as, what is your favorite recipe or where in the U.S. would you like to visit. Monday and Tuesday evenings are at their facility on Mays Boulevard. Two years ago, parishioners at Saint Patrick’s Episcopal church wished to become involved in the program so Thursdays ESL is held at their church. The Crystal Cabaret will fundraise specifically for Camp Explore. Over the course of six weeks forty-five elementary students, in small groups, spend three days and nights under the stars and two more days of additional programming. No phones, no computer games! 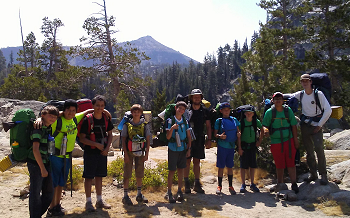 Students are immersed in the beauty of the Tahoe area and the challenge of hiking, setting up camp, and cooking meals. Guinan shared a story of a reluctant camper. He did not have friends at school and was not comfortable in a group. The first day was a seven-mile hike which he did not want to do, but his peers in the group were doing it and it pushed him onward. By the end of the three days he was right there making pancakes for breakfast and helping others by carrying their backpack. It is during those three days relationships are built among the campers and counselors that continue well after the three days in the woods. Perhaps that is the true value of this program. The Crystal Cabaret showcases the RJO performing an exclusive set, "Music of the Stars" featuring artists such as B.B. King, Frank Sinatra, and Aretha Franklin. Enjoy champagne, custom cocktails, a 4-course meal, wine, and dancing into the starry night. You will meet camp director and counselors to learn more about Camp Explore and you can participate in a very exclusive silent auction. The RJO performed at last year’s Crystal Cabaret and I can tell you from personal experience it was a whole lot of fun. Guinan says they are finalizing the RJO sponsorship with a local business, but at press time that process is not complete. The RJO is thrilled to be a part of the synergy between local businesses and non-profits. It brings awareness to the wonderful services non-proifts provide to the community and the funding to allow them to continue to serve. Come on out to both events, have a great time, and see what is possible in service to others.